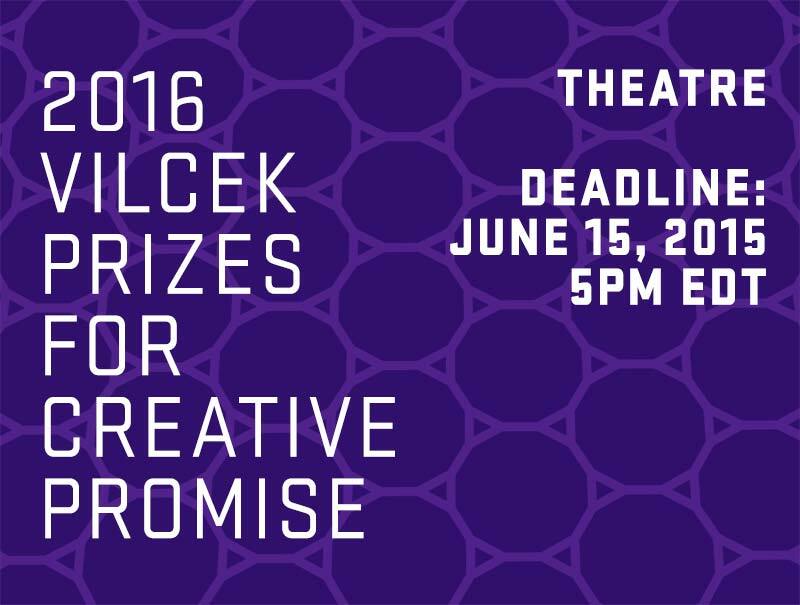 The Vilcek Foundation will award three prizes of $50,000 each to young theatre professionals who demonstrate outstanding early achievement. 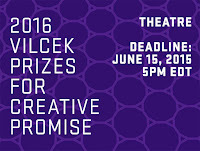 Application deadline: June 15, 2015, at 5:00pm EDT. For more information, including guidelines and application form, click here.